If a homeless person walked in we’d be nice to him, but we’d show no special deference as we did with Mr. Gates. After all, Bill is used to being treated well. The homeless person is used to being ignored. And besides, think what Bill’s tithe would be! Think about the ministries we could support! Think how many people Bill could attract into our church and even the kingdom! Yet Jesus’ brother James condemns us for showing preference for the rich man over the poor. He insists that we must not hold “faith in our glorious Lord Jesus Christ with an attitude of personal favoritism” (James 2:1). Peter saw Jesus almost stoned to death in Nazareth for saying that a Gentile woman rather than an Israelite ministered to Elijah and a Gentile general rather than a Jew was healed by Elisha. He saw Jesus’ admiration for a believing Roman Centurion, and he saw Jesus heal a Syrian woman’s demon possessed daughter. Yet he had to have a vision three times to be persuaded to reach out to Gentiles, and he needed Paul’s scolding in Antioch when he favored the Jewish Christians over the Gentiles. Why are we so prejudiced? Sometimes it’s fear. Sometimes it’s simply egocentrism. We love ourselves and we favor people who are like us. James calls it sin. Join me this Sunday as I preach on “Serve without Prejudice” from James 2:1-17. Don’t forget to help us with our Fall Festival this Saturday. You can help set up Friday night at 6:00. We will feed you if you come to serve! Then Saturday morning you can come early to help us get ready for the 10:00 festival. We’ll need help throughout the event and after it ends so we can clean up. You’ll get a chance to serve all kinds of people without prejudice! Try it! You’ll like it! And most importantly, God will be pleased as we reach out in his name. 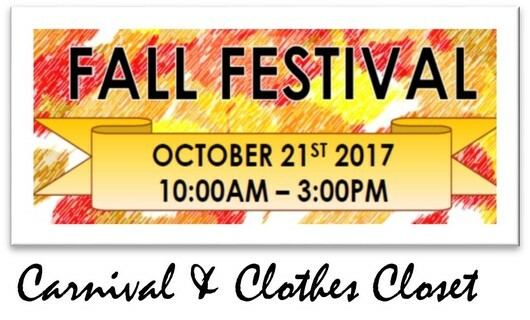 We are just a couple of days away from our annual Fall Festival. This is an outreach to our community for Christ. All activities are free of charge and we want to make it our gift to the Arden-Arcade community. You won't want to miss the blessing of being a part of this ministry! If you haven't already signed up and need to do so, please contact anyone on our committee, call the church office, or find the link on this website where you can add your name to our list. We need many hands yet, in order to make this as much a quality event as possible. The tasks are varied enough so that there is something for everyone. You may choose from greeting people at the registration tables, running a game booth, helping with the free clothing give-away, guiding kids through the cookie walk, helping serve lunch at noon, prayer ministry by walking through the events as you pray for people you see there, as well as by being in tune with God's Spirit as He leads you to pray with people who need and desire that touch. Then there are the non-glamorous tasks of set up and tear down. We need lots of hands to accomplish both of these. Set up will begin Friday evening at 6 pm. As Greg likes to say "if you come, we will feed you" (or is that "if we feed them, they will come"?) Whichever way he says it, he has promised to have something there for us to eat! We will work for about three hours getting the indoor things set up Friday night. Then on Saturday morning, starting at 6 am - for those who are able to get there that early - and continuing to 9:30 am, we will be setting up the outdoor activities. At 9:30, we will take time for prayer together and be prepared to begin greeting our guests promptly at 10 am. We will break for lunch at noon. This is free for everyone and will give the workers an opportunity to get to know our guests better, while taking a break for an hour. Activities resume at I pm and continue to 3 pm. After that time, we hope to be able to get the clean up done by 5 pm (one reason we need many hands!) and be on our way home to prepare for Sunday worship. Please sign up for one or more tasks as soon as possible. If, like a few folks I've spoken with, you aren't able to commit, but are willing to come if possible, please DO show up! Our leaders will be more than happy to direct you to where your talents are most needed. Come when you can. Leave when you must! Ask anyone who worked the Fall Festival last year... We had a great time, and it was worth all the tiredness at the end of the day. That's why we're back working again this year! Don't miss out on this fun and blessing in your life! 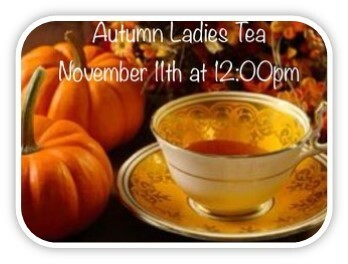 All Ladies are welcome to join us for an Autumn Ladies Tea. Guests are welcome. 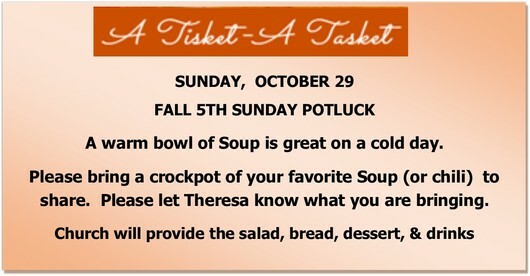 Lunch will be served and speaker, Lori Coburn, from the Women Mission Union will share a message. 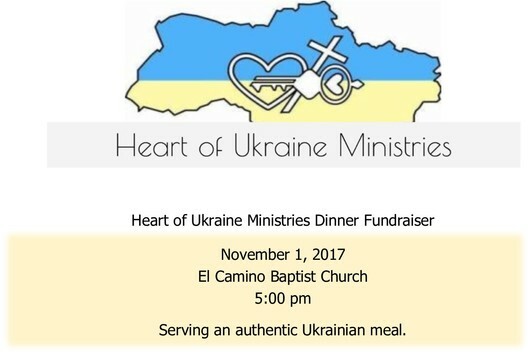 If you would like to Host a table, please contact Tenille Stewart at (707) 287-7309 or tenillejstewart@gmail.com . Sign ups will be in the lobby. November 18, 2017, starting at 3 pm, the Food Closet Ministry of El Camino Baptist Church is giving away turkeys to our community for Thanksgiving. Our Food Closet serves zip codes 95821-95825-95815. They serve approximately 100 families every week. Help Your 40 Somethings Get Financially Smart! Plan now to attend the Ministry Wives Luncheon. The California Southern Baptist Convention Annual Meeting is scheduled for October 24 & 25, in Riverside, CA. The Sacramento Region Baptist Network Annual Meeting is scheduled for October 19th.